Constructed from a virtually unbreakable polycarbonate material, this 5 compartment tray, from Cambro's Camwear line, is ideal for use in school cafeterias and day care facilities because of its easy grip handles and sturdy construction. 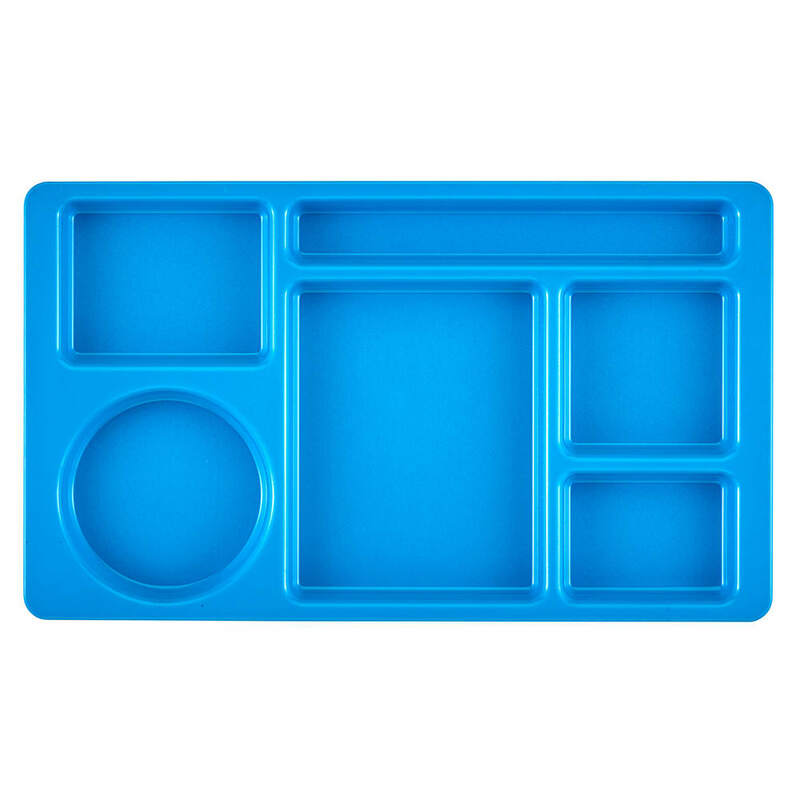 This rectangular blue tray is 8-3/4 "x 15" x 3/4" and includes a convenient flatware compartment. 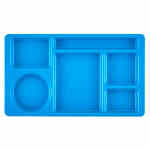 Its 5 compartments make it ideal for meeting food group/nutritional guidelines. This cafeteria tray is easy to store compactly, and its sloping wall design allows for fast draining and drying. 8-3/4 "x 15" x 3/4"